Lindsey Hayes, senior researcher at AIR, provides technical assistance for projects related to educator preparation, educator quality, and special education. She has six years of experience leading technical assistance efforts for two U.S. Department of Education-funded national centers: the Collaboration for Effective Educator Development, Accountability, and Reform (CEEDAR) Center; and the Center on Great Teachers and Leaders (GTL Center). 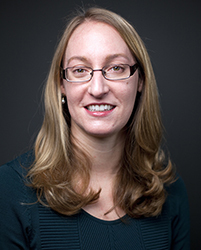 Hayes currently serves as CEEDAR's intensive technical assistance lead. She helps teams in over 20 states create robust networks between state education agencies, educator preparation programs, and local districts to align preparation policy and professional learning systems for teachers and leaders serving students with disabilities. She serves as the current CEEDAR state lead in Colorado and New York and has previously served in this capacity for teams in Florida, Illinois, and South Dakota. Through the GTL Center Hayes serves as a thought partner to regional comprehensive centers and state education agencies to advance educator talent management strategies found in state ESSA plans. She leads a project that provides ongoing, strategic support to senior-level stakeholders in the states of Wisconsin, Indiana, Mississippi, and Texas to address critical teacher shortage areas and hard-to-staff contexts. She also serves as a content development expert for the mentoring and induction project team and led the creation of a mentoring and induction toolkit to address supports for beginning teachers in high-need contexts. Hayes serves as a trainer and coach for AIR’s Center on Response to Intervention (RTI). She has developed and delivered professional development sessions for schools, districts, and states on topics including implementation of multi-tier systems of support, differentiated instruction, universal design for learning, and co-teaching models. Hayes previously worked as a special education coordinator for Cesar Chavez Public Charter Schools for Public Policy. She has special education teaching experience in two public charter high schools, both in the District of Columbia.